Seacrest holds preeminent positions in broadcast and cable television, nationally syndicated radio and local radio. He is also celebrated internationally as host of the top-rated primetime talent showcase “American Idol” on Fox. He also has an agreement with NBCUniversal that includes on-air broadcasting and producing duties across the NBC and E! networks. 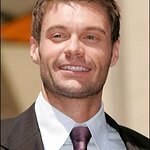 On radio, Seacrest is host of “On Air with Ryan Seacrest,” his market-topping #1 nationally syndicated LA morning drive-time show for Clear Channel’s 102.7 KIIS-FM, as well as a nationally-syndicated Top 40 radio show. Seacrest is an entrepreneur, investing in media and entertainment companies: he recently made an investment in Civic Entertainment Group, a marketing services company, as well as the cable channel, AXS TV. He also has made investments in startups including Pinterest and FlightCar. His philanthropic efforts are focused on youth-oriented initiatives, including serving as Chairman of The Ryan Seacrest Foundation and Honorary Chair of the Grammy Foundation. Seacrest began in his career in his hometown of Atlanta and currently resides in Los Angeles. Seacrest has visited Africa to see the effects of AIDS, disease, famine, and poverty firsthand. Google trends for "Ryan Seacrest"